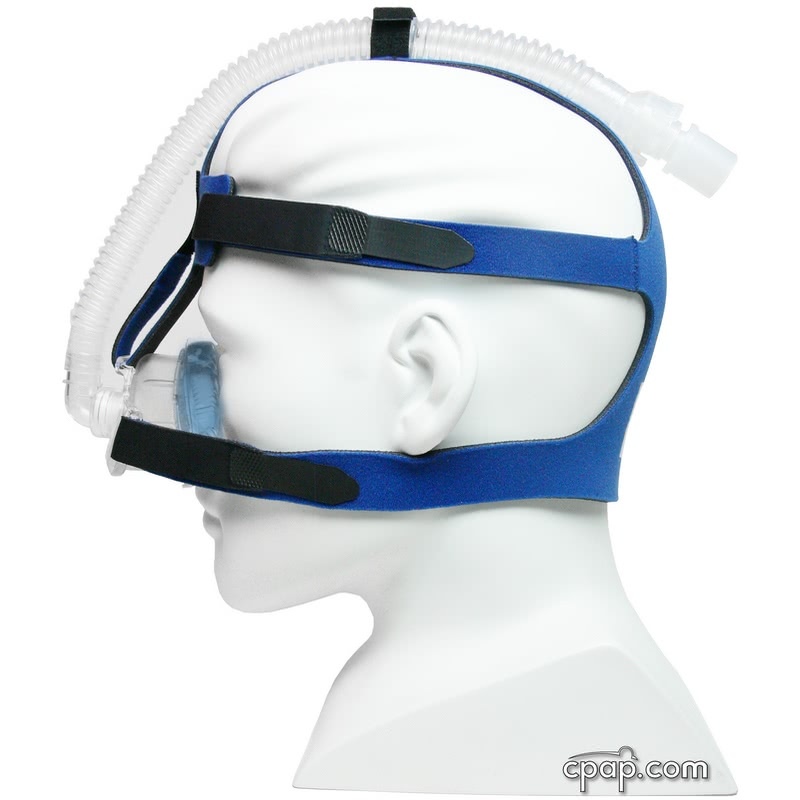 The IQ Nasal CPAP Mask with StableFit Headgear has a blue Airgel cushion for seal and fit. It has an embedded wire support frame able to conform to any face, offering a quick, custom fit. 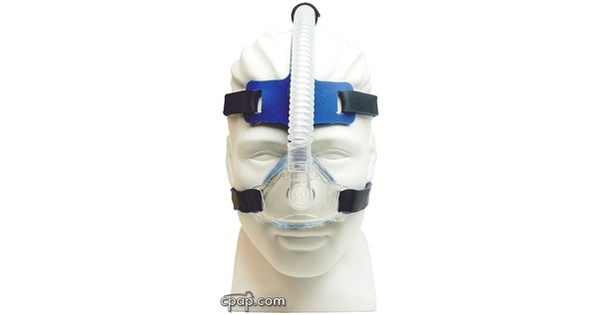 The StableFit Headgear means the IQ Nasal Mask is less likely to shift while in use. The blue Airgel cushion of the IQ Mask uses a comfort band that can bend and flex, ensuring a custom fit is achieved. The blue Airgel cushion molds to all facial types, helping to form a reliable seal and reducing the possibility of leaks. The cushion is latex-free. The StableFit Headgear has two additional straps compared to the previous IQ 3 Point Headgear model. These straps wrap around the head, reducing the chance for displacement. The headgear is made form Breathe-O-Prene, a thin, lightweight material. The highly maneuverable swivel tubing connector can rotate 360º, quietly diffusing air away from your partner. In early 2013 the manufacturer changed the color of the cushion from clear to a blue Airgel material. They note that blue Air°gel offers a more comfortable and reliable seal. 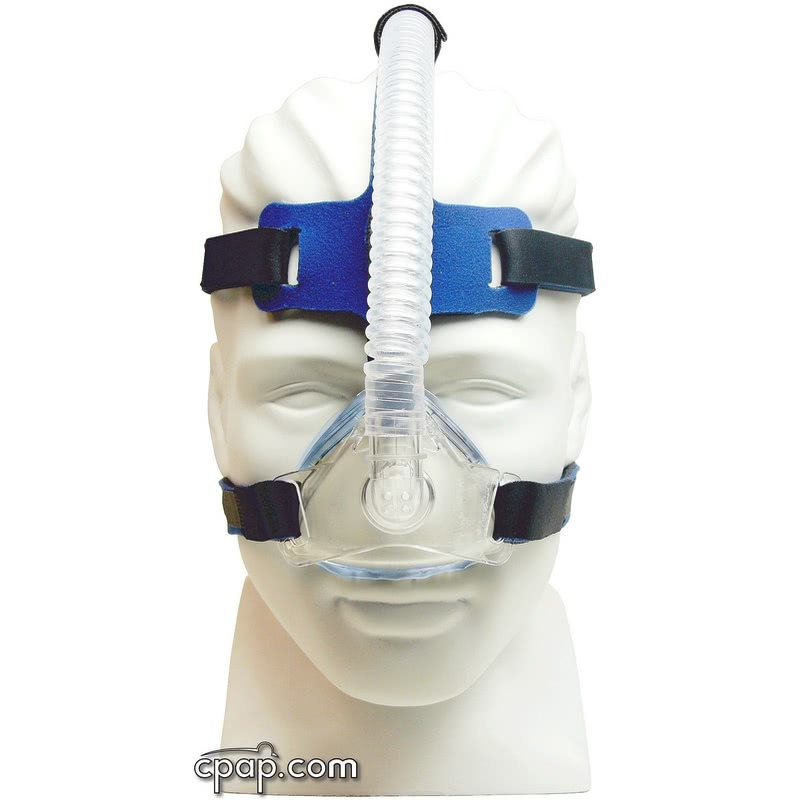 The product name was changed to IQ Blue Nasal Mask. 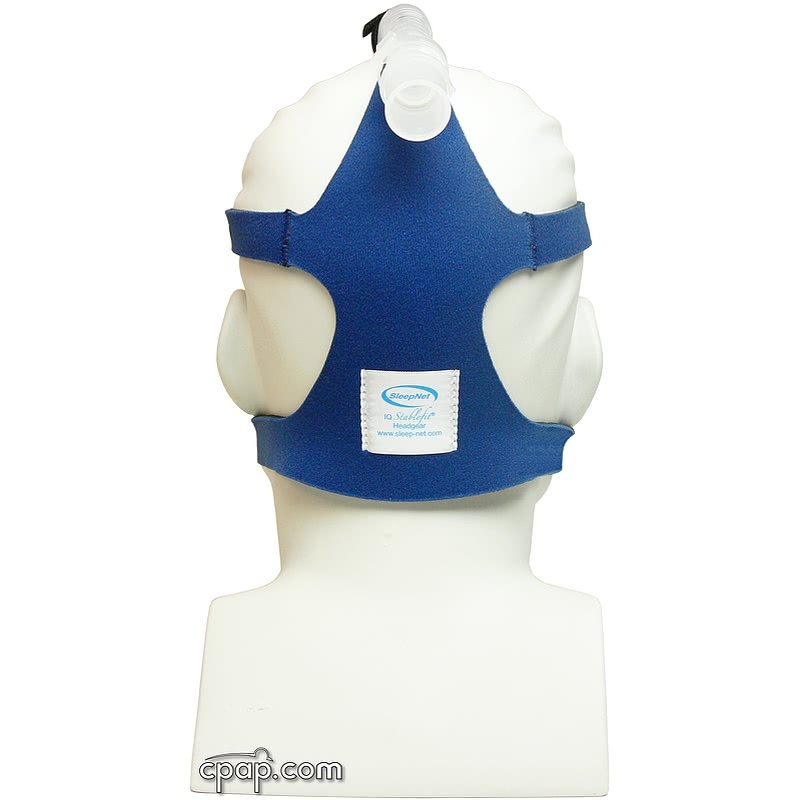 SnuggleCover for Short Tubes: The SnuggleHose Cover for Short Mask Tubes will fit the short tube of the IQ Mask. 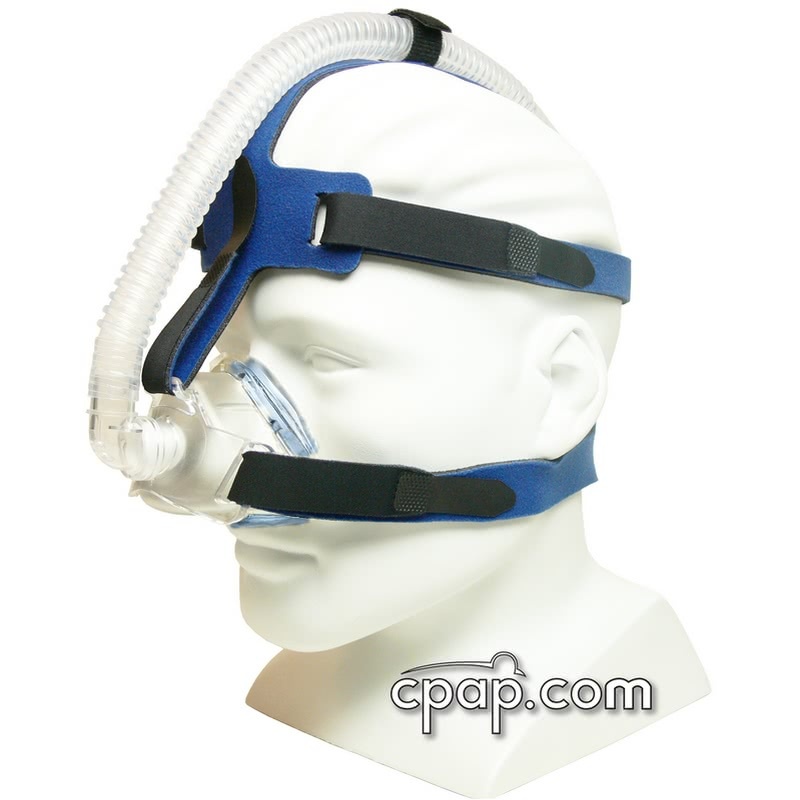 The IQ Blue Nasal CPAP Mask with StableFit Headgear is offered in one size only. The mask frame and cushion do not have an identifiable size.